A great way to protect your glasses in style! Each purchase helps women of China Ethnic Crafts break away from the cycle of poverty and domestic abuse. A great way to protect your glasses in style! 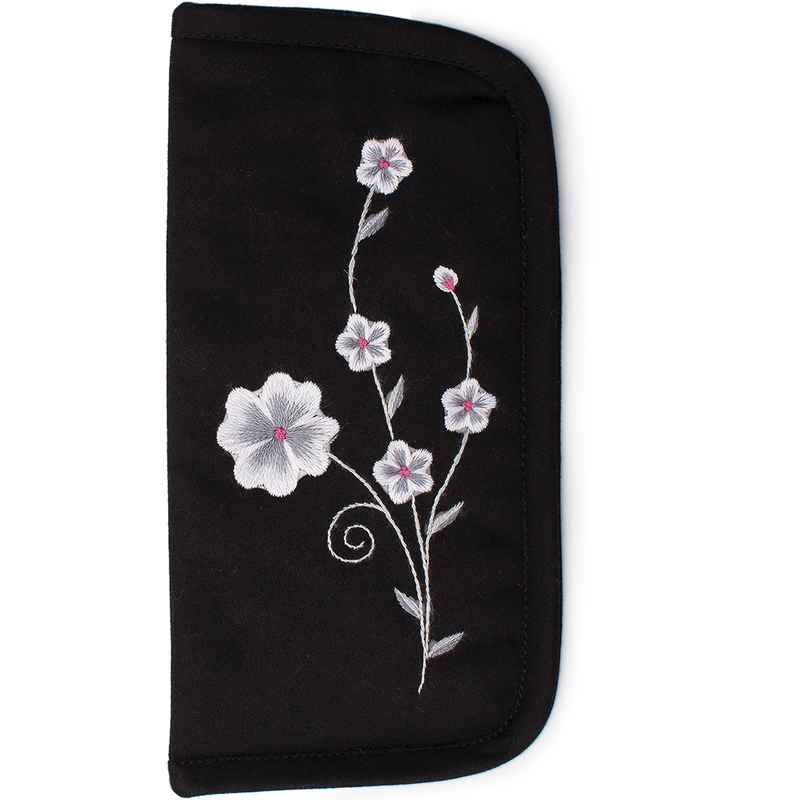 Features hand- embroidered, white, gray, and pink flowers. Each purchase helps women of China Ethnic Crafts break away from the cycle of poverty, domestic abuse, and the lack of education. Measures 7.75-by-4.75 inches.